Music festival goers have been indulging in recreational drug use for decades, it is certainly not new news. However, with drug related deaths at these types of events on the rise across the globe, there is a serious need for change. An online article by the BBC suggests the number of people using such drugs remains largely unchanged and is therefore not to blame for the increase in deaths. It is widely considered that the issue is down to the composition of the narcotics. Since the 2000’s the active ingredient in ecstasy pills (MDMA) has reportedly increased from between 50mg and 80mg to an average of 125mg1. As if this wasn’t enough to worry about, an online report by VICE states how in some cases, substances such as concrete and powdered malaria tablets have been found in samples of ketamine and ecstasy on-site at music festivals. Despite being against the law and the blatant presence of police and their canine counterparts at music festivals, 2/3’s of recreational drug users ‘don’t care’ that what they’re doing is illegal. In fact, this on-site law enforcement is thought to provoke other dangerous actions including cavity hides and ‘panic dumping’, where festival goers take all their drugs at once for fear of being caught in possession. If criminalising the use of drugs isn’t enough to deter people from taking them, what is the next step to ensure festival goers’ safety? Along with having strict drug policies, more and more music festivals are making the choice to offer a free drug testing service. In fact, seven UK music festivals offered front of house testing this summer including Kendal Calling, Boardmasters and MADE festival, with a further five festivals undertaking behind the scenes testing. This is thought to be down to two recent deaths accredited to a batch of super strength pills that made it onto site at UK festival Mutiny. VICE, The Loop and the Royal Society for Public Health have joined forces to develop the ‘Safe Sesh’ campaign. This initiative offers free information and advice about drugs and safety as well as drug testing for festival goers. Upon discovering that their drugs may not be what they were hoping for, around 1 out of 10 festival goers handed their drugs over to the police for disposal then and there. Guy Jones (senior chemist for The Loop) also states that around half of those who opted to hand in a drug sample for testing said they would now take smaller quantities after receiving advice on strength and dosage by the organisation’s healthcare professionals. Is offering drug testing the right thing to do? Despite the evidence showing how Safe Sesh is having a positive impact on festival goers’ attitudes towards taking drugs, the controversial nature of this campaign means it has been met with some adversity. Despite several Broadwick Live festivals getting onboard with the scheme, the Managing director of Festival Republic, Melvin Benn, announced his opposition to Safe Sesh and outlined what he thought, were potential downfalls to the scheme. Similarly to the UK, recreational drug use in Switzerland is illegal, however since making drug testing facilities widely available, no ‘party drug’ related deaths have been recorded in the past 7 years. After the summer fatalities at Mutiny Festival, the home office announced that the government wouldn’t ‘stand in the way’ of festivals offering drug testing services. Despite this, during the parliamentary debate it was said that many local governments and police forces are still refusing to allow the service, due to concerns over legality. Oval space, a nightclub in London, wanted to team up with The Loop to offer their customers the same services provided at festivals. This attempt was blocked by the MET police, who said allowing such activity would be condoning the illicit use of drugs and is firmly against their policies. This being said, other constabularies have shown much support for the scheme, which raises questions into communication issues across the board. It is a tricky topic and one which has led to debates over the prioritisation of keeping people safe, against ensuring organisations are operating within the law. Ultimately the decision on allowing Safe Sesh to operate at these events is down to the government and not the festival organisers themselves. But with criminalising drug users being criticised for dissuading people from seeking help and the government’s ‘just say no’ approach to drugs failing to make a mark, is it time for a change? 1 Waldron, J. and Curran, V. (2018) The drugs being used at UK festivals. Available at: https://www.bbc.co.uk/news/uk-44482290 (Accessed: 13 October 2018). I think drug testing should be available at festivals because nothing is going to stop people from taking drugs, they’re already illegal and people already get arrested for being in possession of them etc but this hasn’t deterred people away from them. I think it’s more important to make sure people know what they’re actually taking and then they can make an informed decision whether or not to take them, but this is more likely to help keep people safe. Whether drugs get tested or not at festivals, it is not going to stop people taking drugs. But testing drugs at festivals may save that one life. I think the police should be encouraged to work with these companies as ultimately they are educating people. Testing the drugs may also lead to the dodgy dealers. Thanks for your response Hayley. Do you think the government should back the project and roll it out on a larger scale? The LOOP carried out public testing at 7 festivals this year testing drugs from 8,000 people. However many of the larger UK music festivals did not offer this facility. Every festival should have these stations, I think it’s cream fields where “the loop” are every year and post on their social media about the pills they have tested to warn others! I know a lot of my mates when going to festivals keep an eye their social media to keep updated and to feel safer when taking these. People are going to do drugs regardless and it’s always better to educate and make sure these people are safe than to pretend it doesn’t happen. Thanks for the reply Sarah! We completely agree with you that every festival should have drug testing stations to keep their party-goers safe. 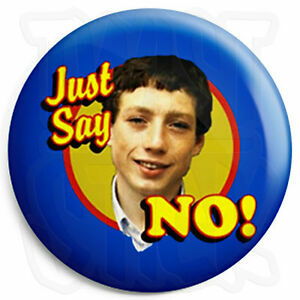 Do you feel that #safesesh can also combat dodgy drug dealers?? I think this is a brilliant idea. If people want to take in drugs they will find a way to do it either way so to offer a service that allows them to at least make sure theyre not going to die from using it is a fantastic idea. Thanks for the response Linda! We completely agree that there is no way to stop consumers doing drugs at festivals so by introducing drug testing it gives them a safer way to do them. Do you feel the LOOP should introduce drug testing at every music festival across the UK? This type of testing (and info on treatment) is the same philosophy behind needle exchanges to prevent HIV transmission among IV drug users. If your goal is public health, it’s worthwhile. If your goal is law enforcement, it’s not going to work. Needle exchanges didn’t encourage drug use any more than this will. Thank you for your response Tanya I am sorry we haven’t gotten back to you sooner. The soul purpose of the drug testing at festivals would be towards public health and education. But who do you feel should be responsible for this, Event managers or the Government? Many festival goers will partake in recreational drug use, legal or not. Lives are potentially at risk ,and it would be a very responsible move for testing to be available. It may even deter people from taking their drugs once they know what is in them. Thanks for your reply Sophie. Unfortunately drug use is a common occurrence at music festivals nowadays and there is no way to combat this issue. Do you think if drug testing was to become available at more music festivals it would reduce the amount of festival goers taking these drugs? Drugs and festivals have always gone hand in hand. Choosing to take them is a personal choice and having lots friends to complication with contaminated drugs I think that offering these services is not only vital but a social responsibility, they should be rolled out at gigs and venues as well. Hey Freya, thanks for commenting! Drugs will always find their way into festivals no matter what law enforcement is put in place. Therefore our only safe alternative is using drug testing stations! We feel this is a step in the right direction for making recreational drug use much safer for users, and further agree that it should not only be implemented at all music festivals but as you say, gigs and other venues also. Thanks for the response Ben Turley! How would you say drugs affect the reputation of music festivals? Do you feel that drug testing would make much of a difference on the reputation? I think drug testing should be available at festivals because ultimately, drugs being illegal is not going to deter people from taking them. I am it is more important for people to be able to make an informed decision on whether to take something. Also,it could help with uncovering ‘dodgy dealers’ and make festival goers safer in the long run. Thanks for your response Chloe! What is your opinion on the LOOP only facilitating at some, not all music festivals? Do you think it should be available at all large music festivals? Drugs are going to enter festivals and venues despite law enforcement highly present. However if testing is present then people who are curious can go and see the substances in the drugs from what they have brought. If these testing places offer support and education then people are less likely to take drugs. Law enforcement with no eduction will not stop people taking drugs! Education on drugs will help prevention and lower deaths, but drugs will always be present at music festivals and make their way in to music festivals despite everything though. Thanks for the reply! We agree that law enforcement will not stop drugs entering festivals and believe it will never be stopped; however, consumers becoming educated on the substances they’re taking will help prevent fatalities from recreational drug use as they understand what they’re putting into their bodies before taking it. Do you believe law enforcement should be working alongside drug testing facilities to combat dodgy drug dealers? Having worked at festivals for the past 10 years doing security I have seen first hand the effects these drugs are having and the problems that are faced trying to keep drugs out. There will always be some that make it in no matter how hard we try and in that light I honestly think there needs to be a safe place inside the festival where they can go to get their drugs tested so they at least now what they are taking and how much – issue seems to be that there is so many different degrees of strength and they take one pill which is at least twice the strength of the ones they normally take on a night out and it is too much for them to handle. There has started to be a medical and a welfare tent at festivals now and next to it should now be a safe testing tent. Thank you for the comment Vicky. We value your opinion as we understand that there is no way of keeping drugs out of festivals. As you mentioned, some drugs can be much stronger than others; do you think the testers should have permission to withdraw the drugs from festival goers if they believe it is too strong for them? I’d like to think its a positive option on a personal choice. Taking drugs is always a risk either way but knowing if something is going to have a serious effect on your health short/long term ECT. Allergies, poisonous substances is a great idea. Thanks for the reply! We agree that consumers are better off being able to know what is in their drugs and what may affect their health in the long term. Do you think drug testing should be rolled out across all UK music festivals? Excellent balanced article demonstrating diverse research, happy to see awareness being raised. Thank you for taking the time to read and respond Carrie. Do you feel that the events companies could be doing more to raise awareness? Nothing will stop drug taking at festivals but I think a testing service should be available at all events. If the party goers have an idea what they could potentially be taking they could then make an informed decision themselves. After all if a testing service saves any lives then it’s got to be worthwhile. Thank you for your response Rob, we feel the same way on the subject. But who do you feel should be responsible for ensuring that the testing is provided? Your thoughts on the matter would be gratefully received. I think that drug testing should be available at festivals to help save lives, you won’t be able to stop people bringing them in but will stop unecessary deaths of young people. Thank you for your response Jerry. We believe in the same thing, but who do you think should be made responsible in providing the testing? Your thoughts on this matter would be gratefully received. Thank you for your response and you raise a valid point. Do you feel that if drug testing were to be made available that people would use the service provided? or would it push the “drug scene” further underground? Unfortunately action is needed to re-educate society around the dangers of drug misuse. Drugs appear to be more freely available than ever via our social media society, accelerating the problem to new levels. Having test centres at festivals would potentially send out the wrong message in the eyes of the U.K. law. ‘Bring your illegal drugs, and we can test them so you can safely and illegally take them.’ Although this would save lives, it is not going to help eradicate the supply lines from organised crime gangs. I’d agree with other comments that we will never eradicate drugs completely from festivals, but test centres will not help stem the flow of these illegal drugs on the streets of the U.K., sending some individuals on a path of self destruction. Thank you for the comment! We completely agree that the use of recreational drugs has been normalised via the society we live in today and understand that drug testing at festivals will not eradicate drugs on the streets of the UK. However, most users at festivals will only take drugs for recreational use as part of the ‘experience’, therefore would you agree that it is a much safer option to have drug testing within festivals rather than no option at all? No I wouldn’t condone it as it sends out the wrong message as previously stated. Why make a substance illegal if a festival organiser appears to condone bringing it for test at their site they are also breaking the law. As you say most will just use the the drugs recreationally, however it will steer some people onto a path of experimentation and addiction, which can quickly spiral out of control to feed their habit. Having test centres would make the use of class A drugs appear acceptable, and have the potential to create more addiction by normalising the use of these illegal substances. Unfortunately laws are in place to protect the public, so adhering to them will ultimately save more lives. Thank you for your further comments and the points you have raised. Whilst the education of society on the dangers of misusing drugs is a laudable desire this is hardly likely to take place whilst in an environment of criminalisation, stigma and derision. It is a popular modern-day conception that illegal drugs are criminalised to prevent addiction, to promote good health and help strive towards a civil society. Drug use hasn’t always carried such a stigma and posed such a social problem. During the Roman Empire it is suggested that the combined revenues of opium contributed to 15 per cent of all tax collections in Rome. In the 1800s, Laudanum could be readily available without prescription, its use was famously advocated by Shelley, Byron, Wordsworth and Keats and Queen Victoria was said to have used opium. It was not until the 1920,s following imported international concern and the growing hunger of the media to create outrage and international treaty obligations that Britain passed the Dangerous Drug Act, restricting the supply of opium, cocaine, morphine and heroin without authorisation. Confusion, sensationalism and prohibition of drugs have grown over the last hundred years and has coincided with increased drug use. For decades ‘War on Drugs’ has cost billions and has locked up millions of non-violent drug offenders at an incredible cost of lost human potential, torn-apart families and communities, and taxpayers money. There is now a mountain of evidence which clearly shows that strict drug laws typically have little or no effect on lowering the volume of drug use and abuse. Taxes on alcohol and tobacco contribute indirectly to NHS spending, and subsequent treatment of the diseases associated with these drugs. The ‘War on Drugs’ policies of governments the world over are the policies that provide people with the incentive to make drugs in dirty bathtubs and laundry sinks, and to dilute them with anything that comes to hand including household cleaners and other drugs such as Ketamine. These are the same policies that enable gangs and cartels to grow so big that they threaten the sovereignty of nations and kill tens of thousands with impunity. Professor David Nutt, along with many other leading scientists, published a study a few years ago that showed how the overall harms associated with some legal drugs, such as alcohol and tobacco, dramatically exceed the harms of some illegal drugs, such as cannabis, ecstasy and LSD – and even the harms of heroin and cocaine. Of course, these top scientists were right, but politicians continue to ignore scientific advice, and society continues to be largely in favour of current drug laws. Ghaith Aljayyoussi, University of Liverpool, suggests that there are three component factors that help to explain this paradox. 1. Capitalism and class. Cannabis, for instance, is a plant that can be easily grown in someone’s backyard, so it is not as easy to commercialise for profit. Tobacco, on the other hand, needs industrial technologies and hence is a suitable product for commercialisation. 2. Poor understanding of risk. We overreact to immediate threats and under react to long-term dangers. A person will generally perceive a 14% risk of developing lung cancer from tobacco to be lower than the 0.01% chance of immediate death following the overdose of a party drug, such as ecstasy. 3. Confusion between effect and toxicity. We can easily think that the more obvious the psychological effect of a drug, the greater health risk it poses. The effects of alcohol and tobacco are very subtle and gradual in comparison to, say, LSD. LSD is one of the safest psychoactive compounds, yet the effects are profound and intense. Yes, drugs can be destructive, and legalisation would not be a cure-all. The sad reality is that drug use would still ruin some people’s lives. In 2001 Portugal became the first country to decriminalise the possession and consumption of all illicit substances, even heroin and cocaine, and unleashed a major public health campaign to tackle addiction. Ever since in Portugal, drug addiction has been treated more as a medical challenge than as a criminal justice issue. The Portuguese model is often described simply as decriminalisation, perhaps the more important part is a public health initiative to treat addiction and discourage narcotics use. Portugal introduced targeted messaging to particular groups and at big concerts or similar gatherings, the Health Ministry sometimes authorises the testing of users’ drugs to advise them if they are safe, and then the return of the stash. Decriminalisation makes all this easier, because people no longer fear arrest. Portugal’s remarkable recovery could not have happened without an enormous cultural shift, and a change in how the country viewed drugs, addiction – and itself. Is it time to rethink the way society continues with this wilful puritanical blindness to the near-universal drive to get intoxicated. Virtually every human society in history has got tipsy, drunk, stoned, high, or some combination of the above. Some form of legalisation and regulation could take recreational drugs out of the hands of organised crime and make them relatively safe. We already do this with alcohol, tobacco and gambling. The government uses tax raised from these products to help pay for the cost of the harms they cause, at least in theory. The same system could be put in place for other drugs. Could it be that Early day motion 1345 in the House of Commons sponsored by Norman Lamb, Chair of the Science and Technology Select Committee, and supported by a cross party group of MP’s signals the beginning of change when he states that “This House recognises the potential of drug testing services, which analyse the content and safety of recreational drugs, to reduce the risk of serious harm and death associated with drug use; further notes evidence from drug testing services such as The Loop which shows that many drug users decide not to take an illegal substance, or decide to take less than originally intended, after learning what it contains; signals the beginning of change where society views those who choose to use drugs are viewed in the same way as those who choose to use alcohol, tobacco and other addictive substances? It sounds as though you need a new blog on the current U.K. drug laws, and how effective they are or not, as may be the case. However you can hardly compare heroine or cocaine with a pint of Carling, or Cigarette. Yes they can both be addictive, however the former are far more dangerous in line with our current laws. If festival goers with little or no common sense want to risk their lives taking illegal substances purchased from undesirables on the street, then they should proceed at their own risk. The decision is theirs to make in a free Country, and if the worst was to happen they have only themselves to blame. If you don’t take the substances, it can’t harm you, stick to carling and a cigarette as you will live much longer. Test stations are not the answer, education and awareness is. I think drug testing should be made available at festivals, it may just save that one person, if it makes more people aware of the consequences taking them, it would have been worthwhile. Thanks for the reply Janet. We completely agree that it can raise awareness across the country on drug use and may prevent others from taking drugs for recreational use. Drug testing is a very good idea. Whilst I don’t condone the taking of drugs, it’s going to happen and if lives can be saved from testing, it’s got to be a good thing. Thanks for the reply! As previously mentioned, there is no stopping drugs from entering festivals, so by conducting #safesesh at music festivals it will give users the chance to safely take them! Do you agree that drug testing will be available at all music festivals across the UK? Thanks for your response Liv! Some individuals are more active drug users (recreational or not) and may not be concerned with the possibilities of them being safe or not, however others may be new to drugs and feel more content knowing what is in their drugs and what they’re putting into their bodies. What are your opinions on drug testing charities being more widely advertised, as to make people more aware of these services? FREE available drug testing(such as ankors) is in my opinion the way to go, One of the biggest issue with multi-day festivals is that people come from out of country and buy their supply once they’ve arrived, generally not having a reliable hookup. Unfortunately a lot of people take advantage of this and try and pump out the cheapest(and generally dangerous) drugs they can at the highest prices they can. This is especially prevalent with any powdered drugs as the addition of Synthetic opioids such as fentanyl, Benzos & lidocaine to mimic the effects of the drug being sold while containing little to none of said drug. While a scummy thing to do, It MASSIVELY increased profit margins at nearly zero risk. Once the dealer has made their money they have no reason to need to interact with or even see that person again for the duration of the event. Ultimately, the war on drugs has proven to be a complete failure. The only way to prevent accidental deaths is to get knowledge out there about what people are actually using so they can do so safely. I don’t believe it condones drug use, rather that it promotes personal health and well-being. Thanks for the reply Evan! We also believe that drug testing charities such as the LOOP and ankors, etc are the best ways to deal with safe recreational drug use. Do you believe that these charities should be working with law enforcement to crack down on dodgy dealers who are providing rogue batches of drugs, purely for profit with no concern to the individuals health? An interesting article. Whilst I certainly do not condone drug taking, I understand how prevalent it is at festivals, even the Police acknowledge this by not arresting people who are in possession of small amounts (they simply confiscate them). However, just to offer drug testing does not really go far enough. Education is also important and an event has the right to evict anyone from the site, don’t they? Whilst I know that this is controversial, by being “no more” pro-active than offering drug testing does this also send out the wrong message? Should there be consequences for people found to have “liberal” amounts of drugs? Interesting Article! As someone who doesn’t attend events due to the actions of others that puts me off, the effects of alcohol and drugs. I’ve worked in many pubs and clubs and witnessed drug dealing and having to deal with it as a manager is hard. It is illegal and I’ve even had people offer me drugs in exchange for alcohol. What I would like to know is what posses people to do this? If they are dealing at events or in pubs, they’re don’t care what they’re giving someone could effectively end their life, if taken the correct way?! What do you suggest as an incentive to get people to test their drugs? To be sure no one really knows why people take drugs, for some its escapism for others its a form of control, knowing why people do what they do is one of the biggest questions in the psychology world and as far as we know to date they are still finding answers to the question. With the recent deaths this summer it wouldn’t be a surprise that many teens or adults are seeking reassurance in what their consuming albeit illegally. Unfortunately with peer pressure being as rife as it is, some people will feel the need to have to take something to save face, the Loop in a lot of ways offers a safe “out” for these people as well as reassurance to those of whom wish to carry on. After careful consideration the biggest incentive we feel for people having their drugs tested is to keep themselves out harms way, yes what they are doing is harmful but at least they know what they are putting into their bodies and they can make an informed decision as to carry on or not.